Two times a charm for John Isner as he celebrates his second straight BB&T Atlanta Open victory. Isner celebrates after victory in 2014. America’s top ranked male player overpowered Dudi Sela of Israel 6-3, 6-4 to win his ninth career title on the ATP World Tour last year in Atlantic Station. Isner enters the 2015 tournament with a 16-3 record in Atlanta, where he has made the finals four of the past five years, with losses only coming to Andy Roddick and 2010-11 champ Mardy Fish. Even after turning 30 this year, Isner maybe posting some of the best results of his career. Since losing back to back Davis Cup singles rubbles against Great Britain in March, the former Georgia Bulldog standout has made runs to two ATP World Tour Masters 1000 tournament quarterfinals or better. After a strong showing in Madrid he defeated No. 11 Grigor Dimitrov, No. 6 Milos Raonic and No. 5 Kei Nishikori en route to the semifinals in Miami, before succumbing to Novak Djokovic. Much of Isner’s recent success can be attributed to the addition of his longtime friend, Justin Gimelstob, a former ATP pro from 1996-2007 and commentator for the Tennis Channel, to his coaching team. Together, the two have helped Isner improve his mastery of pressure situations, not to mention the staple of Isner’s game, his booming serve. 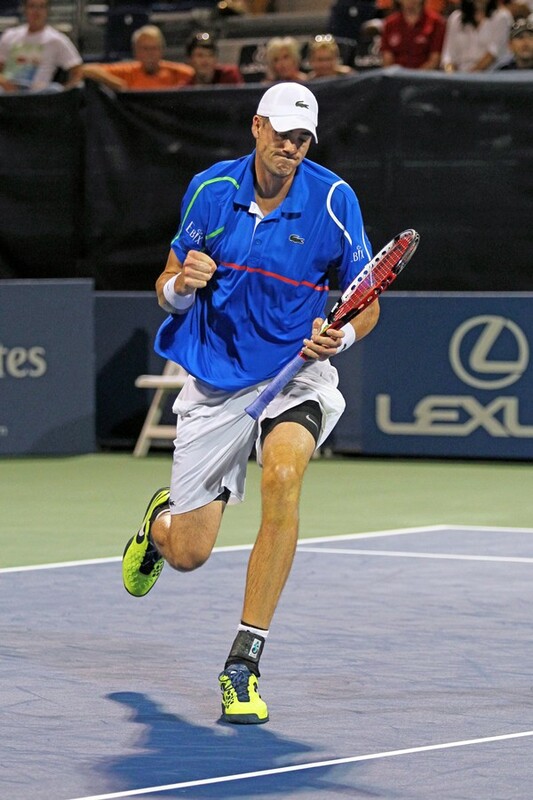 Isner is also coming off a solid 2014 season, in which he won two tournament titles, Auckland and Atlanta. He also reached the fourth round at Roland Garros and the third round of both Wimbledon and the US Open, helping him finish in the world’s Top 20 for the fifth consecutive year. Isner’s on-court accolades date back to 2004 as a student at the University of Georgia. When the majority of rising juniors decided to try their hand at ATP World Tour Futures and Challenger tournaments, Isner opted out and revamped his tennis skills at the collegiate level. By 2007, Isner had become a four-time All-American, led his team to two SEC tournament championships, two National Indoor Championships and the 2007 NCAA Division I team title. Today, Isner is a walking testament to the positive effects playing college tennis has on transitioning a young player to the professional level. Following his senior year, Isner broke out onto the ATP World Tour at the Legg Mason Tennis Classic in Washington, D.C. (now known as the Citi Open). Recording 144 aces in five straight wins, Isner reached the tournament final before falling to Roddick, but would become the first player in ATP Tour history to accomplish such a feat in a non-Grand Slam event. The biggest server in BB&T Atlanta Open history ascended to a career-high ranking of No. 9 in 2012 and posted his best Grand Slam result at the US Open in 2011, reaching the quarterfinals. Isner’s ultimate claim to fame still comes from Wimbledon in 2010, making tennis history alongside Frenchman Nicholas Mahut by playing the longest recorded professional tennis match ever at 11 hours and 5 minutes by the score of 6-4, 3-6, 6-7, 7-6, 70-68; a first-round meeting which spanned the course of three days.